The drip campaign is an automated process that is developed to send a set of email messages and content to leads at just the right moment to help move them through the sales funnel. These campaigns allow businesses to sustain ongoing conversation with potential customers, which not only helps these individuals get to know your brand but also helps establish familiarity with your sales team who can later complete the sale. Though these campaigns may seem simple enough, it's important that your business follows some basic best practices to maximize results. DO use personalization in your messaging. The goal of your marketing drip campaigns is to build a relationship with your prospects. The best way to do this is to include personalized messaging. Be sure to use the prospective customer’s name in the opening, and adopt a friendly and informal tone throughout the content. Instead of sending the email from your generic company email address, try sending the messages from the email accounts of your sales team. If the messages are coming from a specific member of your sales team, then the readers will feel more comfortable engaging them later as they are more likely to feel like they have built a relationship with this person. DON’T use overt sales language or content. 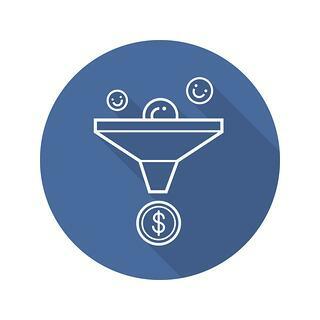 Though your ultimate goal may be to convert these prospects into paying customers, that's not the immediate goal of your drip campaigns. Avoid using overt sales language that pushes your brand or a specific product on the prospect. These leads need to be nurtured before they're ready to convert, so aggressive sales language or marketing content is not likely to work on them. Leave the selling to the sales person, and instead use educational content with a friendly tone that can help set the stage for the later sales conversation. DO include links to relevant marketing content. Though you want to avoid direct sales material, you should still be including relevant marketing content in your drip campaign emails. Blogs, whitepapers, e-books, videos, and infographics are all great types of content to help educate prospective customers and work toward building a stronger relationship. If the customer doesn’t click on a whitepaper or e-book, you might consider automatically sending them lighter and more engaging content like video overviews or infographics. DON’T include too many calls-to-action (CTAs). Including a CTA in your drip campaign emails is important because it leads the prospect to the specific marketing material that's appropriate for them at their stage in the buyer’s journey. However, providing too many calls-to-action can confuse the prospect and is not as effective as leading them to one specific piece of content that was designed to help move them through the funnel. Instead of offering too many options, choose one, carefully crafted CTA that leads the reader to content that will help them closer to becoming a qualified lead. As you get started on your lead nurturing drip campaigns, keep these do’s and don’ts in mind. These tips will help you maximize your campaign results and start bringing more qualified leads to your sales team.